Supports NCTM Standards and Common Core Standards for Mathematics Grades 1-2. Teach and reinforce basic math concepts with hands-on activities and instant reproducible activities that help children see real-world applications for math skills. Help your students understand the passage of time with more than 50 fun activities. 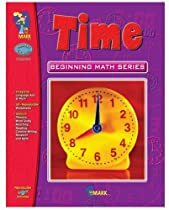 Use this resource to teach and reinforce the concept of telling time and to help students develop an understanding that time is measured in a variety of ways. Nine nursery rhymes reinforce he concept of the passage of time. Also included are teacher suggestions and a skills list for easy planning and implementation. 96 pages. Grade Level: 1 2 3.